Please enjoy these recent project highlights from spring 2017. To view more project profiles, please visit our Project Types section. 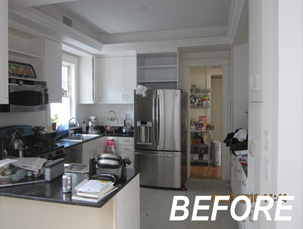 The owner of this 1913 Victorian house in Cleveland Park wished to update and modernize the existing kosher kitchen to make it more functional. 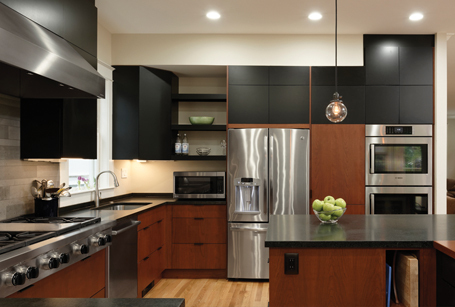 The project included removing walls to capture adjacent space and create better flow, and features a large, L-shaped island, two-toned cabinets and a dramatic industrial aesthetic. 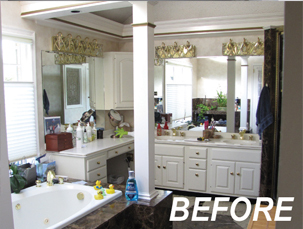 Keeping to the existing footprint, the master bath renovation features clean lines, beautiful fixtures and custom details that better meet the owner’s needs. In the bedroom, the reach-in closets were replaced with a single, pocket-door entry into an expansive walk-in closet that eliminated the need for additional dresser storage. 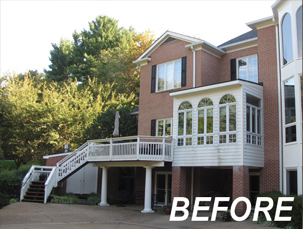 When a Great Falls client decided to convert an under-utilized deck into a screened porch, they returned to BOWA to execute the project. The addition includes a waterproof membrane so that the patio below can be used rain or shine. New hardscape and a beautiful fire pit create an oasis the family can enjoy year-round. 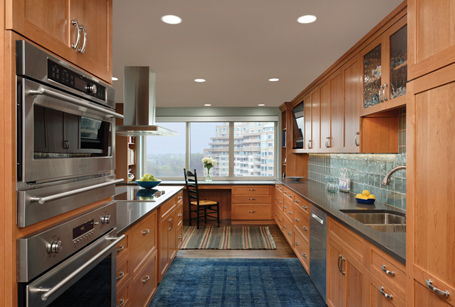 This condo renovation was designed to maximize beautiful views and create visual lines of sight from end to end. 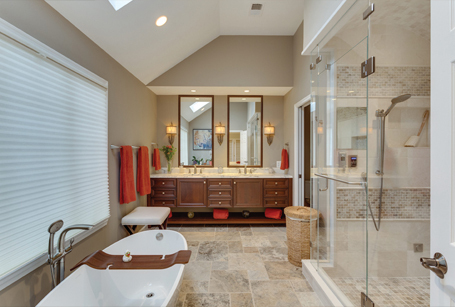 The master bath features a custom tile mosaic designed to mimic a waterfall. 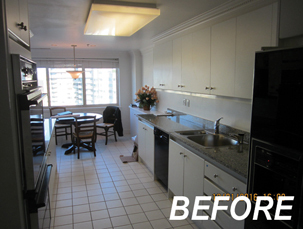 The new, modern kitchen features the same cabinetry and tile the owner loved in her previous single family home, helping to ease the transition. If you enjoyed these recent project highlights from spring 2017, visit Project Types for more profiles.